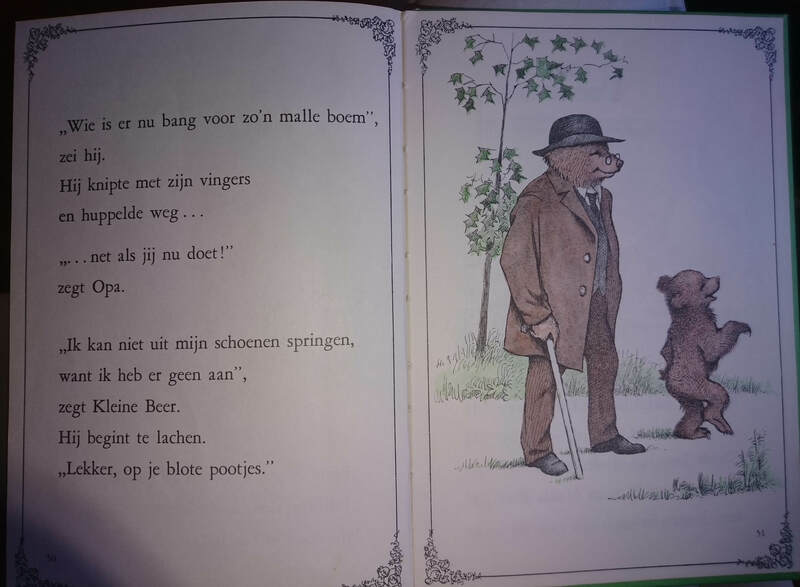 As a child, when I just began reading, I had a couple of little books about ‘Kleine Beer’. My favourite one is about Little Bear visiting his grandparents. 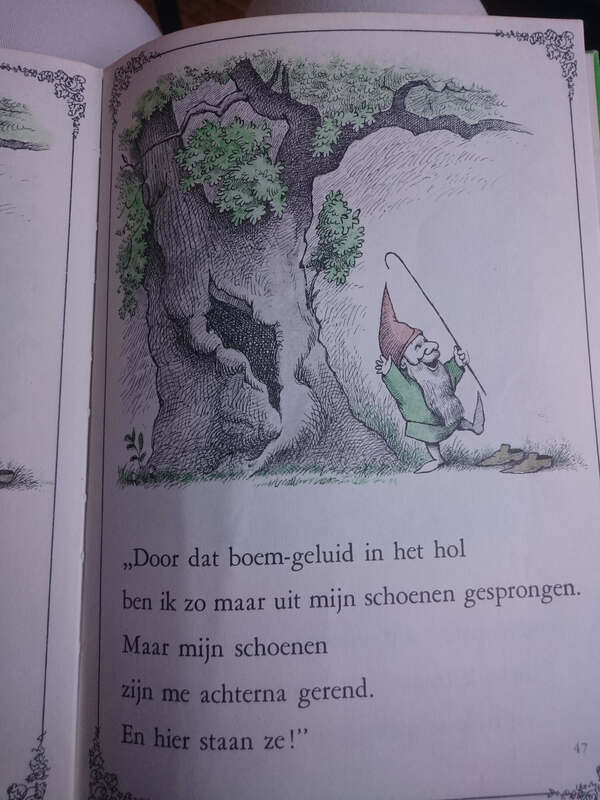 That book contains the wonderful story told by Grandfather Bear: about a gnome who was so frightened that he jumped out of his shoes. As he fled, he was even more frightened by the sound of footsteps following him. Eventually he hides in a hollow tree and the footsteps stop. After a while, he carefully looks out, and sees… his own dear shoes! They had followed him! The gnome takes a good look at them, and gratefully puts them back on and dances away. Somehow, I think this story is a great metaphor of my spiritual adventures of the past years. I was very shocked by some traumatic events, I fled everything that was once dear to me, but now I have found a bit of a quiet shelter, and I am ready to rediscover the few things that followed me, and really belong to me. Someone who also searched for what really belonged to her, is Kathleen Norris. She describes this in the book Dakota. She helped me very much, especially in her most moving chapters about her grandmothers. First, in the chapter ‘Ghosts’, she describes various memories, some of them very painful, especially the sad effects of Christian fundamentalism. But fleeing far from anything religious did not help her in the end (although it was a necessary side tour). In the chapter ‘Frontier’ she writes: Instead, the more deeply I’ve reclaimed what was good in their faith, the more they have set me free to find my own way. Free to find my own way, how I would love that! Yes, but first the more difficult part: facing and reclaiming my roots. That might prove difficult, because one half of my family is so dominant, that I hardly know the other half. The Catholic Apostolic side has always been so outspoken about what is the exact correct way of believing, that I have no idea what my other grandmother actually believed. I want these voices to shut up and know their place, so that I can attune to my other side. 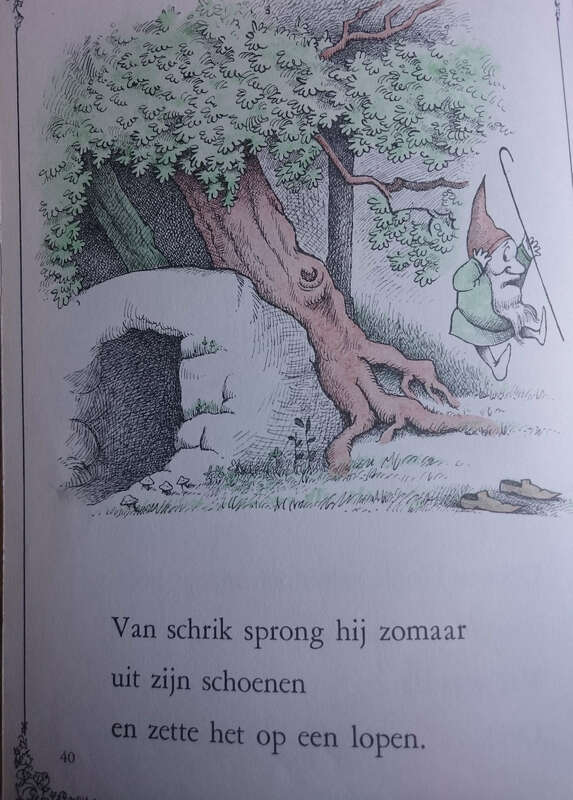 The gnome in the story was frightened by the sound of the footsteps of his own dear shoes. In my case, as you may have noticed in my writings, my fears were very much about faith. Similar to Kathleen Norris, who was told by a friend: “I don’t know too many people who are so serious about religion they can’t even go to church.“. It now occurs to me, that I have been fleeing my own zeal that was desperately trying to stay with me. But there’s no need to be afraid: being seriously religious belongs to me, it is one of my shoes. Both the story of the gnome and Kathleen Norris’ reflections on her two grandmothers, made me aware that I also need two shoes to live a balanced life. What about my other side? I feel that this is a bit of an uncharted territory to me. Here again the story helps me: as the gnome inspected his shoes before putting them back on, so I’ll also take a good look first. Remember my quieter grandmother, her openness, friendliness and intelligence. Certainly good virtues to try and recover. These will equip me for the rest of my journey, I look forward to new discoveries!